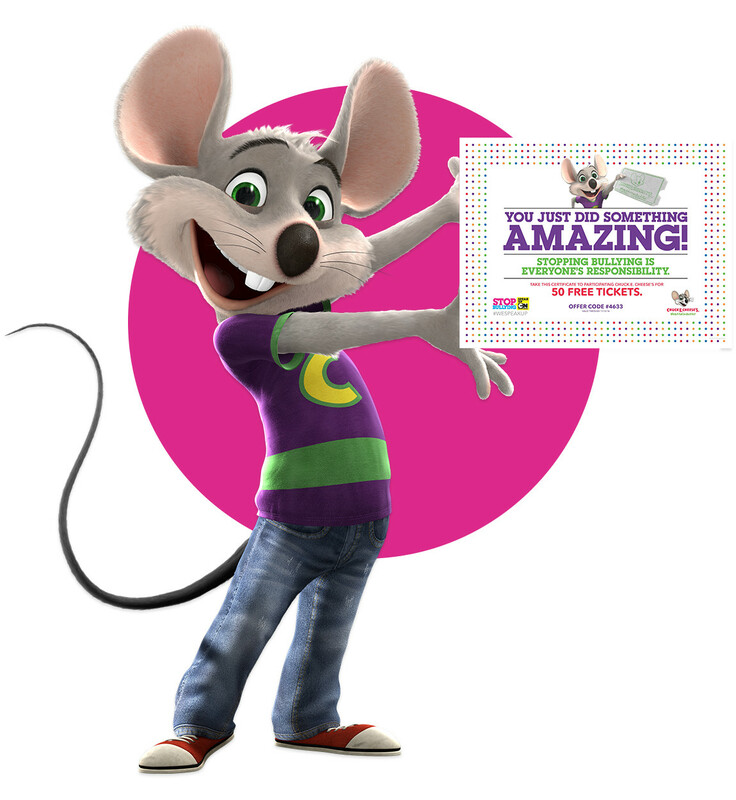 Savvy Spending: Chuck E. Cheese: 50 FREE Tickets! Chuck E. Cheese: 50 FREE Tickets! Now through November 13th, you can visit ChuckECheese.com to get 50 FREE tickets! Just take the Stop Bullying: Speak Up Pledge and you will receive a certificate to print out. Certificate is valid through 11/13.